Directions: Upham Street To Lincoln, At East Emerson Street. 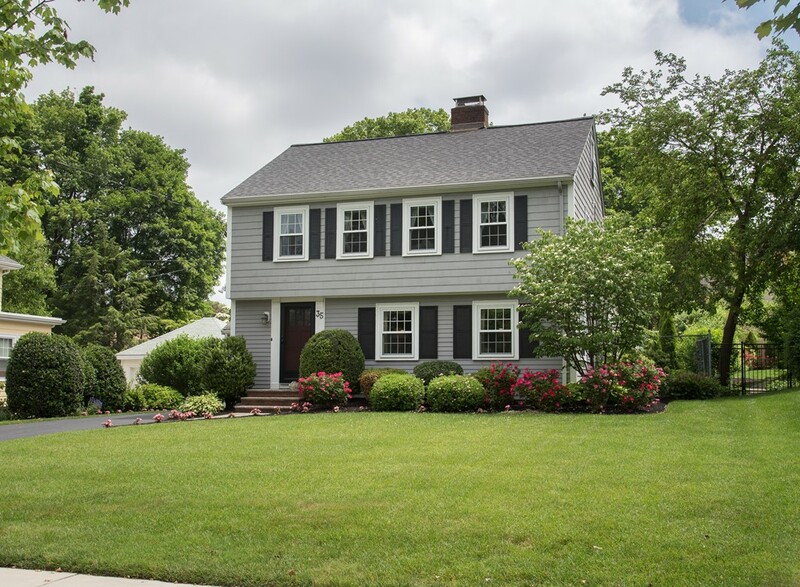 House Beautiful meets the attention to detail of This Old House-come experience this East Side Colonial that exudes sophisticated elegance, boasting maximized living areas, gorgeous outdoor space and walkable to Melrose's thriving downtown! Beautifully set-back and nearly centered on the 10,000 sq/ft lot, the private, flat, back yard is a lush, seasonally in-bloom backdrop from the family room which adjoins the deck, simply awesome space to gather. The steward of this home has thoughtfully and thoroughly renovated using a team of local craftsman, virtually rebuilding this beauty over the last 10 years: paint throughout; heating/cooling systems; re-sided exterior; front roof; landscaping/sprinkler; rebuilt family room, deck with support to go up, game room and 4th bedroom; kitchen and baths, plus electrical and plumbing. Classic details adorn the living and dining rooms with circular flow to the EIK. Sunshine sparkles into the family room. Garage. Walk to schools, train, town and more!